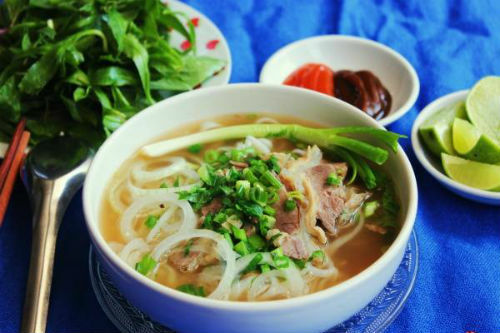 Pho is a popular dish of Vietnamese people especially in the north. Pho although easy to cook, but it takes quite some time to have a good bowl of Pho. Let’s learn how to cook Pho. Every morning, all over Vietnam, an army of cooks busies themselves with the task of serving the perfect bowl of pho (pronounced ‘fur’). Pho is more than the national dish of Vietnam – it’s a bowl of food that unifies its people and prepares a nation for the day ahead. 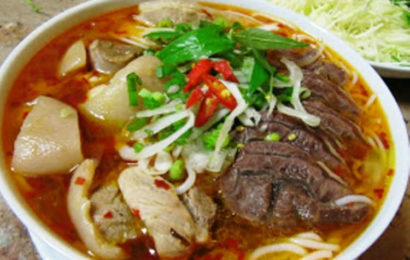 Traditionally eaten for breakfast, the steaming beef broth, flavoured with ginger, star anise, cinnamon, black cardamom and the ubiquitous fish sauce, floods over fine rice noodles and slivers of raw beef, with a garnish of fresh herbs, spring onions, chilli and lime juice. 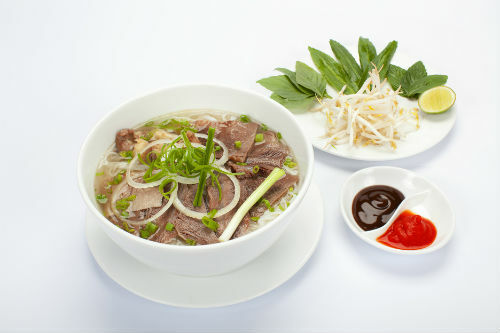 Pho originates from Hanoi in the north of Vietnam. It’s heavily influenced by Chinese spices and the culinary competence of the French colonialists who, during the late 19th century, introduced the Vietnamese to the idea of cooking with beef. Before the French arrived, beef was not considered for the pot; however, impressed by the imperialists’ methods, local cooks observed their stock-making techniques and married Asian flavours to lend a more exotic feel. 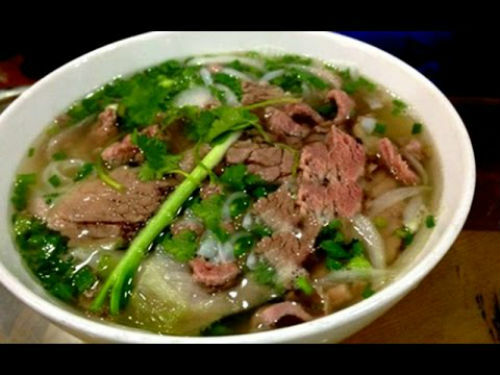 Until 1954 pho remained a secret of the north. But when the country was partitioned, people began to flee the communist north, many settling in southern Saigon. The dish became an overnight success, as curious folk flocked to taste this new phenomenon. 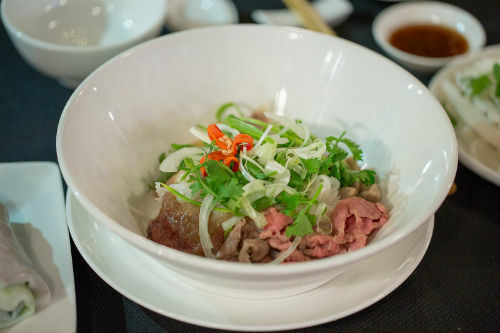 The region’s innovative cooks began refining the original dish, producing what is now considered the definitive beef-and-noodle soup. In Ben Tre, in the east of the Mekong Delta, my introduction to this national obsession was at Anh Hong restaurant, where from 6am til 10am the sole purpose is serving pho. As I sat and placed my order, I surveyed the scene before me. The energetic host scurried between tables, delivering bowls from the efficient kitchen area. Women deftly cut raw beef into wafer-thin slices with huge cleavers. 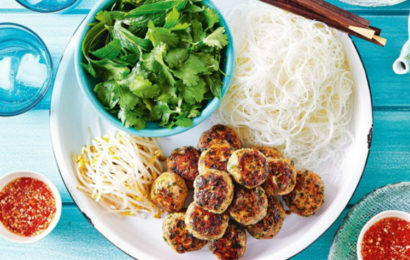 Freshly made rice noodles were blanched in boiling water and garnish plates heaped with juicy bean sprouts, lime wedges, fragrant herbs and chopped red chillies. Sensuous aromas from the titanic stockpot wafted tantalisingly through the simple dining space. 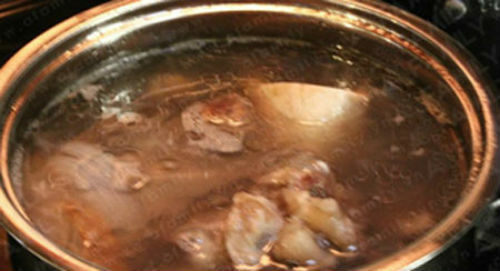 The stock is the real foundation of pho, It’s prepared meticulously by simmering beef bones in water for at least 18 hours and adding cuts of meat such as cheek, shin or oxtail to boost its flavour. This produces a deep, rich, clear liquid, heavenly to smell and addictive to drink. No matter that the floor was covered with escaping scraps of meat, noodles, cigarette butts and discarded tissues – as I savoured every mouthful, this soul food had me hooked. 1. 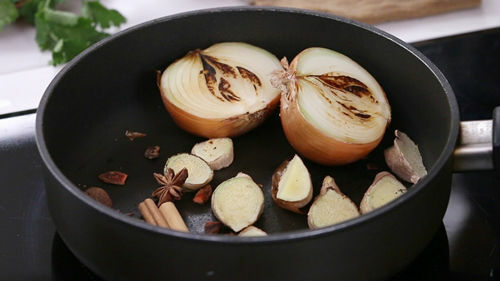 In a frying pan, toast the ginger and shallots until blackened. 2. Place beef bones and cheek in pan and cover with the cold water. Bring to boil; skim off any scum. Bring to boil; skim off any scum. 3. Reduce heat. Add the ginger, shallots and remaining stock ingredients; simmer gently for 3-4 hours. 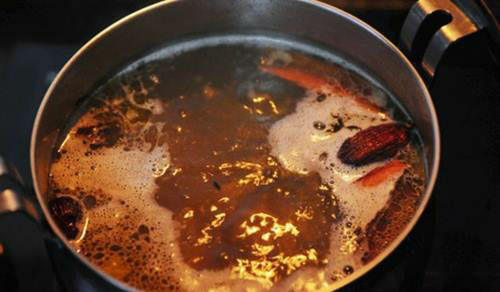 Do not let it boil rapidly – liquor will turn cloudy and bitter. 4. 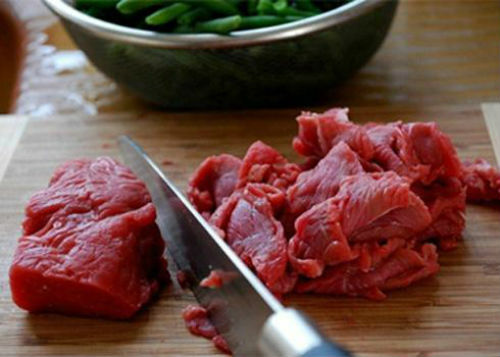 Remove beef cheek, then strain stock. Keep hot in a clean pan. 5. 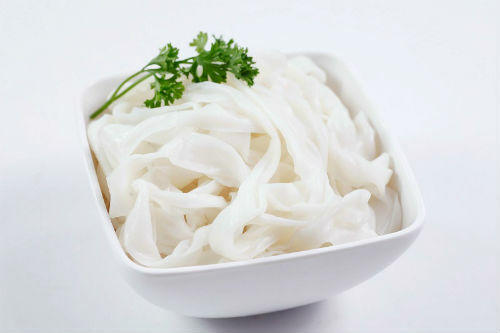 Blanch rice noodles in boiling water; drain. 6. Slice cheek into slivers. 7. Arrange noodles in bowls and top with raw and cooked slices of beef. 8. Pour over the boiling stock; sprinkle with spring onions. 9. 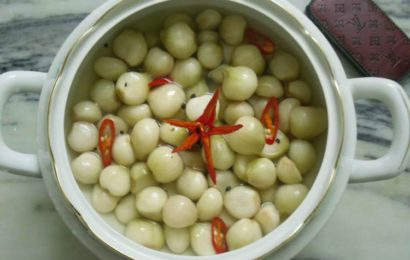 Serve with remaining garnish.